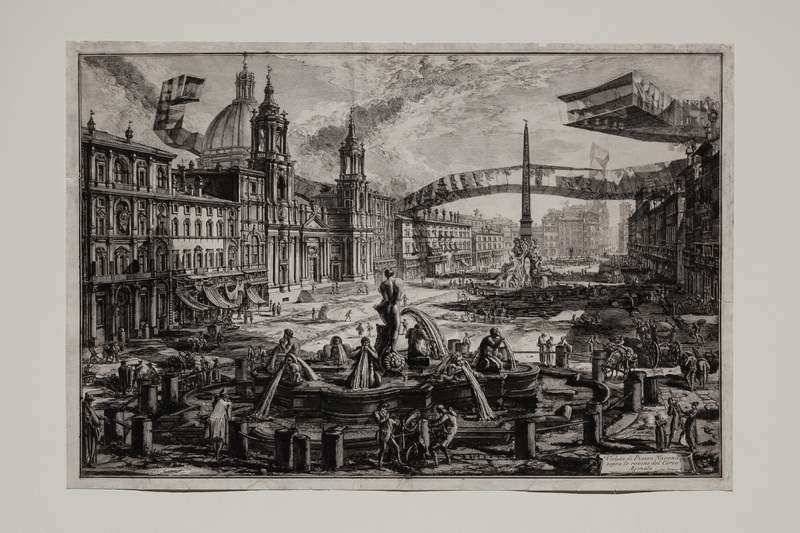 Until July 15th St Petersburg the Manezh in St Petersburg will be the venue for St Petersburg 2103, an architecture and urban-planning exhibition on the subject of the present, past, and future of the city on the Neva (curator: Maria Elkina). 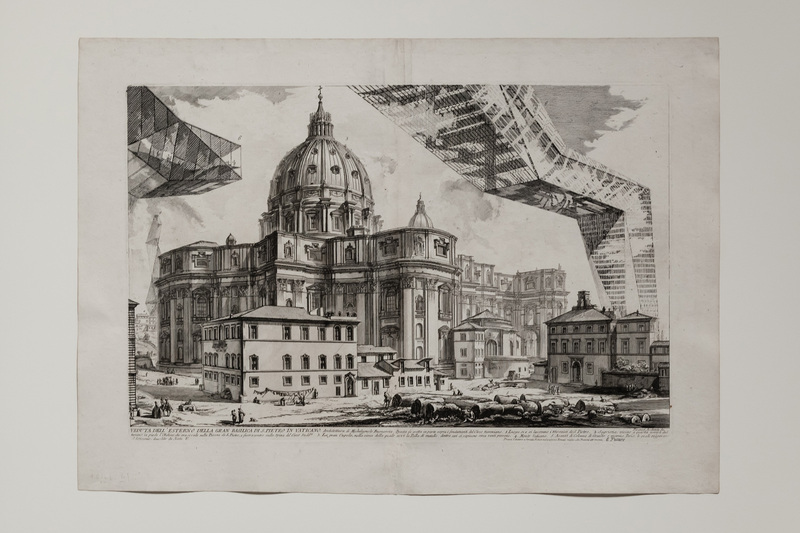 Sergei Tchoban was invited to take part in the exhibition’s Visions section, which deals with the future of St Petersburg. 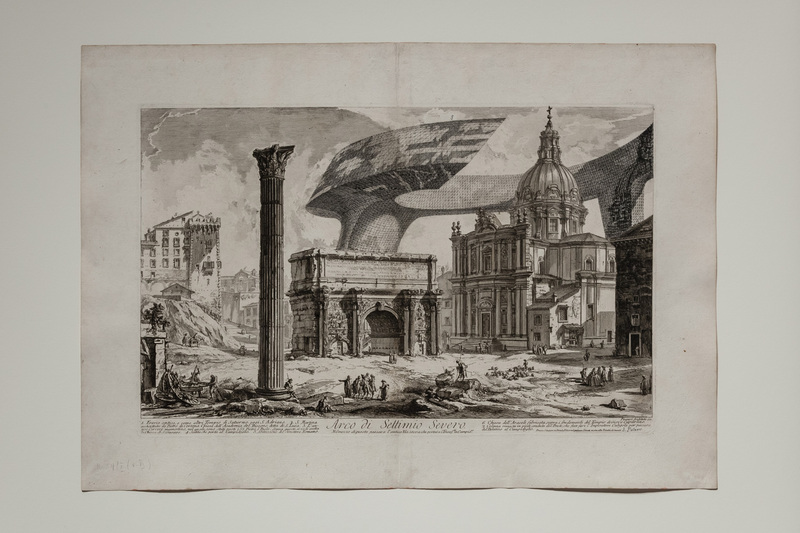 His project Impression of the Future consists of reflections on the invasion of new architecture into the historical city and on the co-existence of old and new. 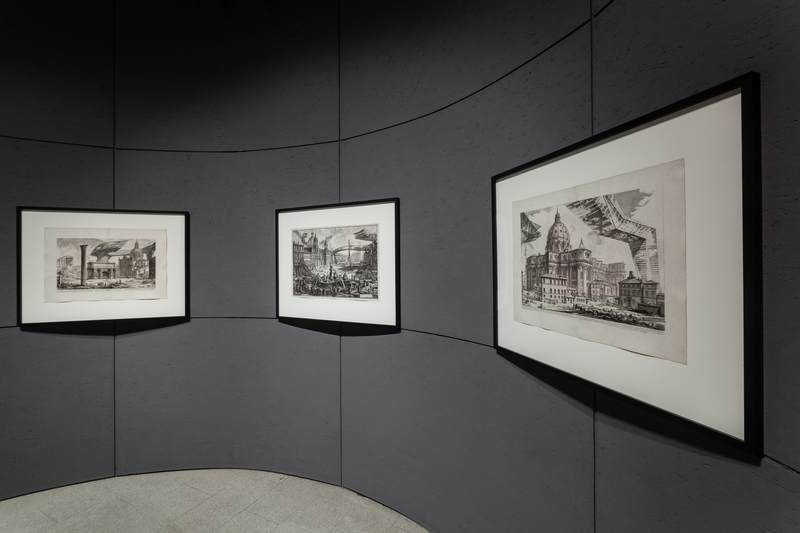 These reflections are embodied in three engravings executed from Sergei Tchoban’s drawings by Ioann Zelenin, a student at the Academy of Arts in St Petersburg. 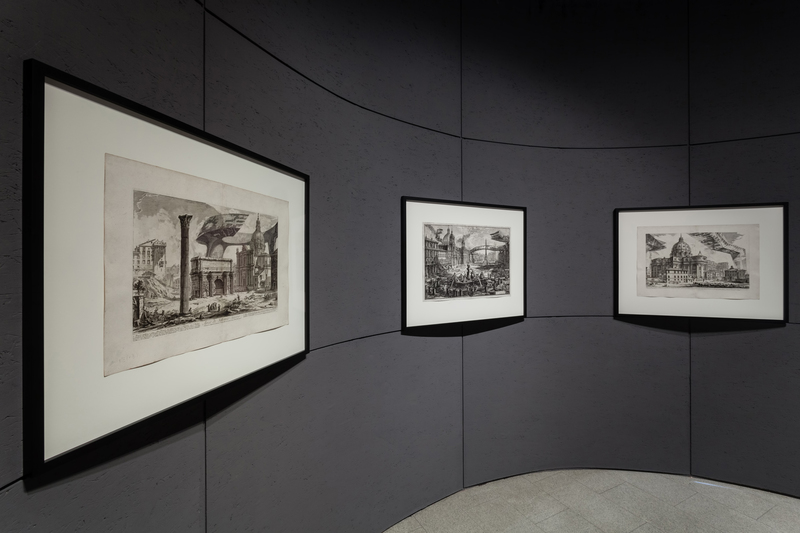 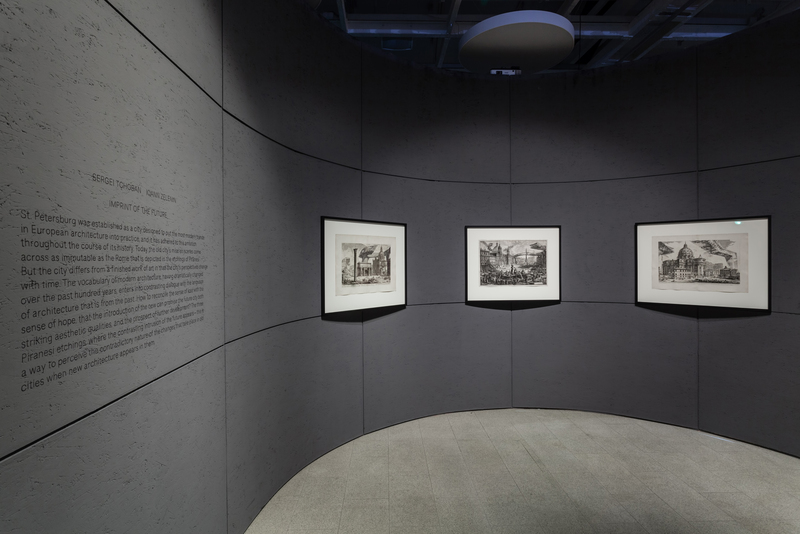 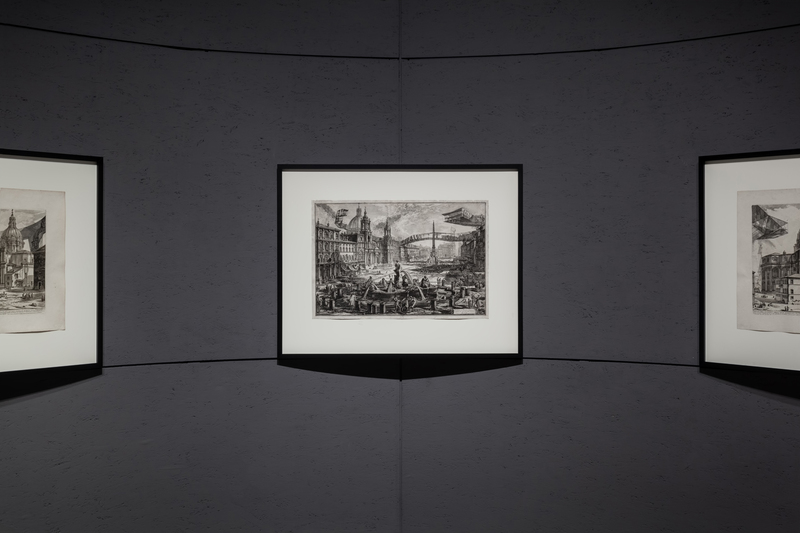 The architectural landscapes on which the drawings are based are prints [‘impressions’] of engravings by Piranesi.